eee I love it when people make the knitting projects that I design! Laurie and Shawna found my braided headband pattern on ravelry. Here they are! I love the yarn that Laurie chose! 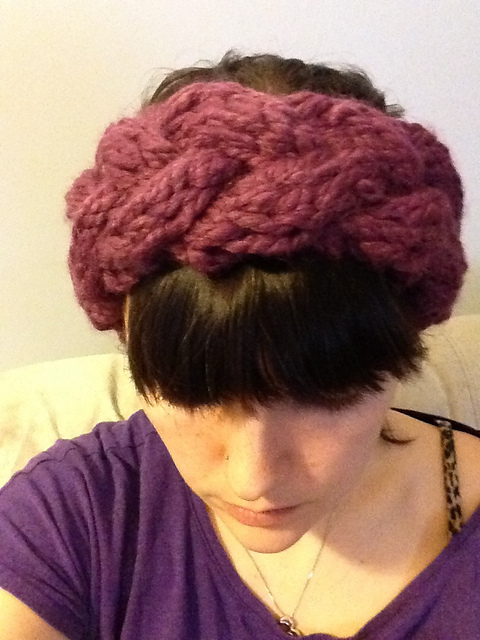 Shawna aka heartcallah made a lovely reddish pink headband! Meanwhile, Lily made her very own acid cat ears and blogged about it at Hot Pocket of Delight!